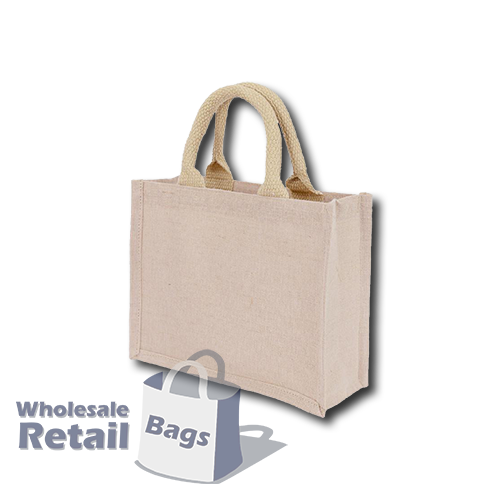 Equally as cute as the small jute bag, the small juco bag is ideal for retailers of small items, and for promotional giveaways of compact products. The small juco bag gives a slighter higher-end finish than the small jute bag, because the finer weave of the cotton and jute blend allows us to print finer detail on this bag, rather than the coarse mesh of jute. Screen printing up to 6 colours, or full colour digital.